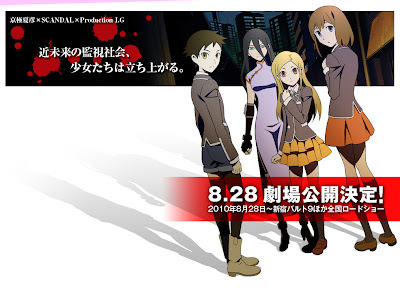 The Loups=Garous anime movie adaptation finally gets subbed all thanks to Lambda-Delta Fansubs. Literally "werewolf," Loups=Garous is a award winning novel by Natsuhiko Kyogoku. Loups=Garous tells about the story of three girls: Mio Tsuzuki, a certified prodigy; Hazuki Makino, a uiet but opinionated classmate; and Ayumi Kono, her best friend, are determined to find the serial killer that targets junior high students, and in the process, threatening to undermine the intricately controlled society of Japan in the near future. 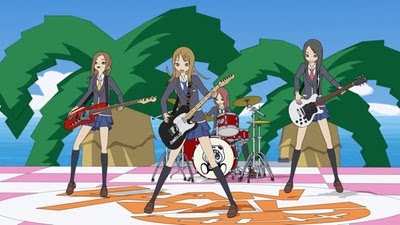 Aside from singing the Loups=Garous anime movie theme songs, SCANDAL, the all girl rock band, had made a cameo in the film via a music video of KOSHI-TANTAN, according to Mio Tsuzuki, a popular band and song from long ago. Various SCANDAL references have been seen throughout the whole movie, including Canta, the group's mascot, and various SCANDAL uniforms worn by Mio. Download Loups=Garous subbed by Lambda-Delta @ Nyaatorrents!